Ada pertanyaan untuk Golden Reef Motor Inn? 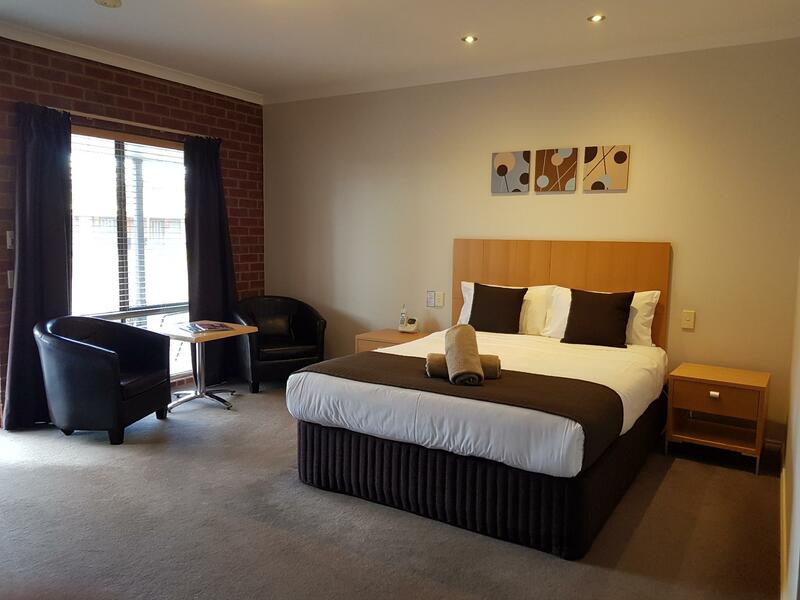 Terletak di pusat Strathdale, Golden Reef Motor Inn adalah tempat ideal untuk menelusuri Bendigo. Hotel ini terletak 3.5 km dari pusat kota dan menyediakan kemudahan akses ke fasilitas-fasilitas penting kota ini. Dengan lokasinya yang strategis, hotel ini menawarkan akses mudah ke destinasi yang wajib dikunjungi di kota ini. Dengan menawarkan pelayanan superior dan sejumlah fasilitas kepada para tamu hotel, Golden Reef Motor Inn berkomitmen untuk memastikan penginapan Anda senyaman mungkin. Ketika menginap di properti yang luar biasa ini, para tamu dapat menikmati WiFi gratis di semua kamar, fasilitas untuk tamu dengan kebutuhan khusus, penyimpanan barang, tempat parkir mobil, business center. Para tamu dapat memilih dari 26 kamar yang semuanya dilengkapi dengan suasana yang tenang dan harmonis. Sepanjang hari Anda dapat menikmati suasana menenangkan dari kolam renang luar ruangan. Temukan paduan menarik dari pelayanan profesional dan sejumlah fasilitas di Golden Reef Motor Inn. If you are looking for a very nice place to stay at a very good rate, you cannot get a better place than the Golden Reef Motel. The facilities are excellent. 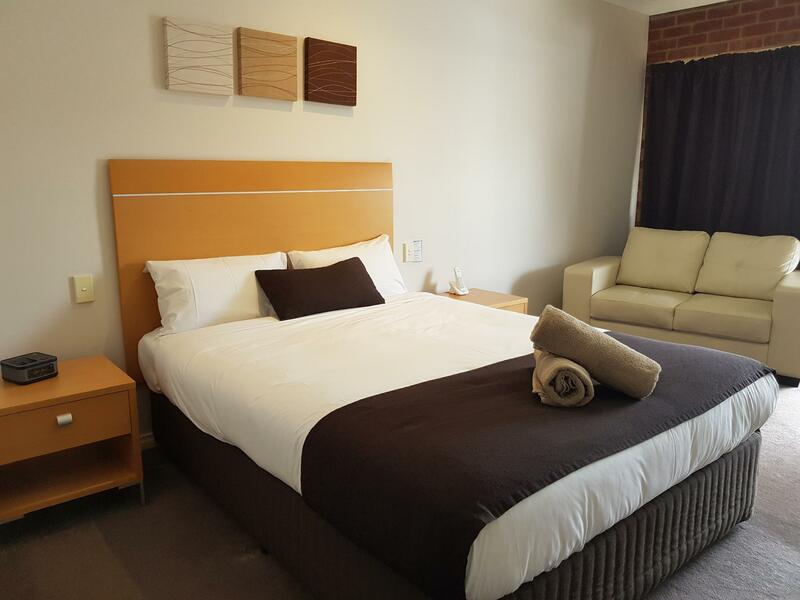 Comfy beds, wi-fi, air-conditioning, flat screen tv, breaky service to your room, and an awesome pool and spa area. Our unit was immaculately clean beautifully presented and tastefully furnished .Parking at the front door made transferring the luggage a breeze, the place is a gem we loved it. Microwave would be a nice addition to the room. Very clean and spacious rooms, big bathroom with lots of bench space. Pool area looked good, would be lovely to have a dip in the warmer months. 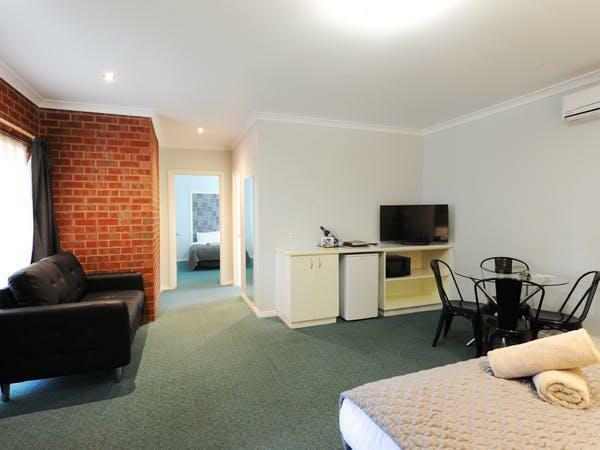 Perfect location to uni for us to stay if our child decides to go to Bendigo UNI. This was a motel that met all the criteria overall. Nothing amazing but nothing bad either. All round a good experience. Three best things were the lovely and helpful family who runs the establishment, cleanliness and ideal location for us. The Golden Reef Motor Inn was a very clean and tidy establishment. The owners were lovely and always helpful. It was ideally located for us as we were in the same suburb one of our family members lives and it was only 5 minutes from the city.